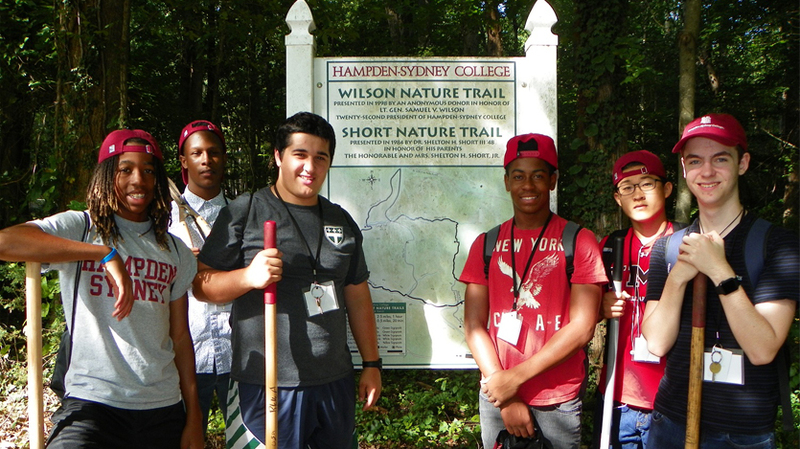 The Shelton Leadership Challenge at Hampden-Sydney College is a summer residential experience where young men explore the cornerstones of values-based leadership through problem-solving and team-building activities. 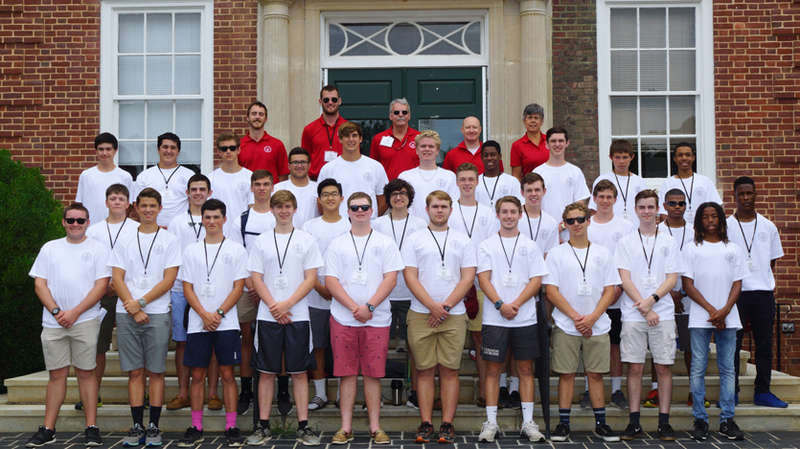 Thirty young men with a resolve to develop their leadership skills came to Hampden-Sydney College for six days during the last week of June. The Shelton Leadership Challenge, hosted by the Wilson Center for Leadership in the Public Interest in conjunction with NC State University, graduated its third class this year. 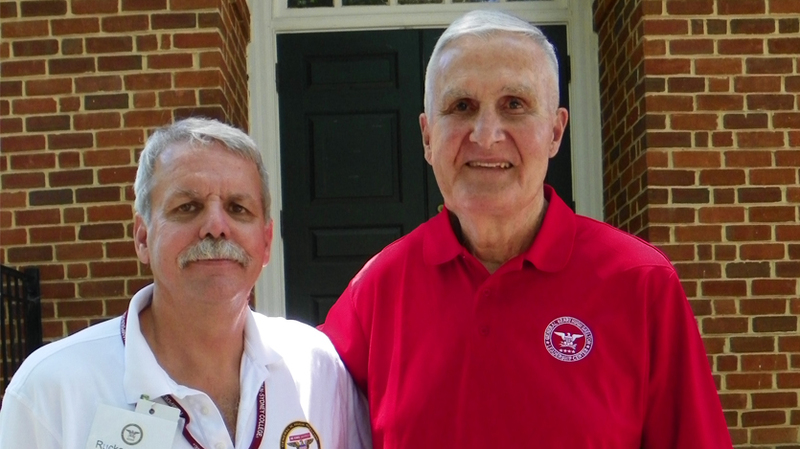 General Hugh Shelton, the four-star former Chairman of the Joint Chiefs of Staff for whom the Shelton Challenge is named, came to H-SC to address the group this year. During his welcome, General Shelton emphasized to campers that one is never too young to learn basic leadership skills. "The curriculum is designed specifically to help you become good citizen leaders in school and in your future professional lives," he explained. The Shelton Challenge curriculum involves rotating leadership positions as participants complete team building activities, low and high ropes courses, discussions, reflection, night activities, and a service project. Members develop specific skills as they work through the Challenge: personal leadership assessment and interpersonal dynamics; role of values and ethics in leadership; leadership traits and approaches; teambuilding and empowering others; civic and social responsibility; and goal setting and accomplishment. Michael Lee '14, who volunteered as a counselor during the Shelton Challenge, is amazed by the participant's transformation of maturity in such a fast-paced week. "The guys arrive skeptical, but by mid-week they are fully invested in the program. As the end of the week nears, they are fierce about wanting to get back home, because they realize change starts with them." This transformation occurs thanks to the community focus of the programming, encouraging the young men to become leaders at home. The intense, team-oriented nature of the Challenge lends itself to internal growth and reflection, in addition to the outward development. Long days, which start as the sun rises and end well past sunset, mean learning to rely on each other for support. According to one camper, "the people I met kept me going." Group discussions also encourage the young men to open up to each other about their feelings and opinions, teaching compassion and understanding. Those who have graduated describe their experience as rewarding, inspiring, and challenging. 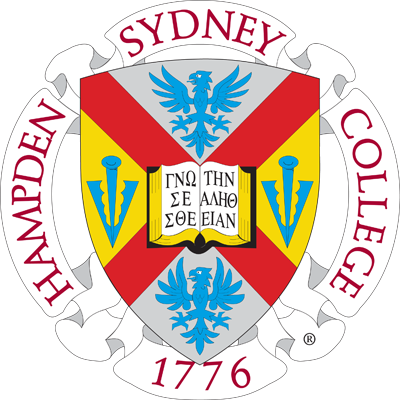 No matter how each individual feels coming into the Shelton Challenge, each is sure to leave empowered as he leaves through the gates of Hampden-Sydney College.